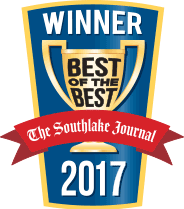 Are you looking for “a residential electrician near me in Fort Worth”? Then call Berkeys, your local electricians in Fort Worth, TX. 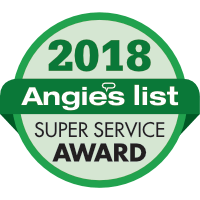 Our customers consider us the best residential electricians in Fort Worth, TX and we are consistently ranked as the leading operators for electrical services (including plumbing and air conditioning) for homeowners. When you contact Berkeys, you will be working with a multiple 5-star rated local electrical company. With a strong electrical background grounded in years of service since 1975, our clients know they can trust us to deliver reliable services every time. They also feel safe because our electricians are all licensed, insured, and certified. So, if you want quality electrical services from a dependable residential electrical contractor in Fort Worth, then call us today at Berkeys. We guarantee your satisfaction. This is a select few of our extensive electrical services. If you do not see the service you need listed here, give us a call, and let us see how best we can assist you. Your breaker box is an essential part of your home’s electrical system. Also known as your home’s electrical panel, this is where all the electrical energy to your home flows through. That means you should ensure that you have a properly installed breaker box so that you have a safe distribution of electricity throughout your home. If you have an older electrical panel, you should have it replaced as soon as possible. This is necessary because you need a breaker box that can handle your electrical requirements due to the newer technology in your home. Replacing your old breaker boxes will prevent overloaded circuits which are a major safety hazard that could lead to an electrical fire. In fact, if you have a 100-amp panel, you should consider upgrading to a 150 or 200-amp breaker for electrical safety in your home. Electrical breaker problems are dangerous. If you have any problems, contact us immediately for our licensed electrical contractors to repair your electrical panel or upgrade to a newer and safer breaker box. If you have an older home, then you should consider rewiring. Older homes will not be wired to meet the needs of your current electrical appliances and devices. With the many technological items in our homes today that require electrical power, we need a house that is wired to handle the load. If your home is too old or it wasn’t wired properly in the first place, then call us. Our experienced electrical contractors will help you quickly rewire your home for safety, more convenience, and make it more comfortable and enjoyable. If you want to install electrical outlets that can prevent electrical shocks, then ask about GFCI outlets for your home. Ground Fault Circuit Interrupters (GFCI) are electrical outlets that are mostly found in areas with moisture. They are therefore ideal for kitchens and bathrooms. A GFCI outlet can sense if electricity is flowing through a wrong route such as through you or someone else in your house, or through water. If any of these problems occur or there is a short-circuiting problem, your GFCI outlet will shut down to prevent injury. This prevents electrical shocks and electrical fires. If your GFCI outlet shuts down due to a problem it sensed, you can reset it with just a push of a button. Plus, you can test that these outlets are working using the test button. We recommend that you test the GFCI outlets on a monthly basis. If they are not working, you need to replace them immediately. If you want new GFCI outlets installed in your kitchen, laundry room, basement, or bathrooms, or replace non-functioning GFCI outlets, then contact Berkeys today. Smoke detectors and carbon monoxide detectors save lives. Too often we hear the stories of avoidable deaths all because the family did not have a working, or any, CO monitors or smoke detectors installed in their homes. Don’t become a statistic. Protect your family, those you love, and protect your home. Contact Berkeys to install your smoke detectors and carbon monoxide detectors in the appropriate rooms and locations today. Installing a new ceiling fan is more than just aesthetics. Not only should your fan look good, but you need to ensure that it is the right size for the room and that it is installed properly. The size of the rooms determines the size of the blades you should choose. Plus, location for the new fan is important to maximize your cooling efforts as well as for safety precautions. To ensure that your ceiling fan is installed properly, you should always use a certified electrician. To get a licensed electrician who knows how to handle all the tricky working of a new ceiling fan, then call Berkeys today. Your home can be affected by a power surge from a lightning strike, faulty wiring, load shedding, and a host of other electrical problems. The best way to prevent damage to your electrical system from a power surge is to install whole house home surge protectors. While you can use surge suppressors indoors, especially for your major electrical appliances, a home surge protector does a better job of protecting your appliances. From the point of entry to your home, your surge protector is allowing in only the amount of energy you need to keep your home powered. So, protect your home the best way possible from power surges. Contact Berkeys and let one of our talented electricians in Fort Worth install a home surge protector for you. By now, most of us know the many benefits of installing LED lights in our homes. They are more energy efficient which means they use less power. This is important because lighting is one of the major elements in our utility bills. Upgrading to LED lights can therefore significantly reduce your monthly energy bills. Plus, they just look better and provide a more pleasant lighting experience and atmosphere. So, update the look and feel of your home. Reduce your energy bills and save money (even on cooling as they do not emit as much heat as other types of bulbs). Let Berkeys help you reap the benefits of LED lights by upgrading your home with LED lights today. One of the best ways to upgrade the aesthetics and safety of the exterior of your home is to install outdoor lighting or landscape lighting. A well-lit home is often a high deterrent for criminals and improves your building safety. Properly installed landscape lighting is great for entertaining or just making a relaxing environment for you and your family. If you want properly designed landscape lighting to improve your curb appeal or improved outdoor lights for your security, then contact Berkeys to schedule a lighting consultation and get an estimate for affordable outdoor lighting services. These are just some of the basic home electrical safety guidelines you need to follow to protect you, your family, and your house. By following these and other simple rules, you can prevent an electrical house fire or electrocution in your home. Extension cords are not designed for permanent use. Therefore, you should only use extension cords as needed. If you have an electrical fire, only use a fire extinguisher, not water. If you want to ensure that your home is up to standards and meets all electrical codes for your safety, then contact Berkeys for a detailed home safety inspection and electrical repairs or maintenance as needed. Find the best residential electricals in Fort Worth, TX at Berkeys. Schedule an appointment today. We are available 24/7 and will be there when you need us.